Have you ever wondered what George Washington did to help “those poor people in Africa?” No? I have. I like history and I’ve researched an answer for you: George did squat. (Spoleir alert! That may have been a good thing). Until World War II there really wasn’t even a thing called foreign aid. There was foreign military aid and there were colonial style investments that might be termed aid -- but only if you stretched the definition of the term. For the most part the notion of giving large sums of money to other countries so they could become “better” didn’t really exist. That changed in 1948 when the Marshall Plan was passed. Between 1948 and 1951 more than $13 billion (around $120 billion in today's dollars adjusted for inflation) swam across the Atlantic destined to rebuild Europe. And guess what, it worked. The Marshall Plan did a great job of stimulating development while holding back the Soviets. The Marshall Plan was a big hit and as these things tend to work in DC politicians copied it, especially John F. Kennedy. In 1961 JFK signed the Foreign Assistance Act and created the United States Agency for International Development that spent some pretty hefty cash overseas. In 2013 alone USAID spent about $35 billion in economic aid (this does not take into account military aid). ...furthering America’s foreign policy interests in expanding democracy and free markets while also extending a helping hand to people struggling to make a better life, recover from a disaster, or striving to live in a free democratic society (The Borgen Project). 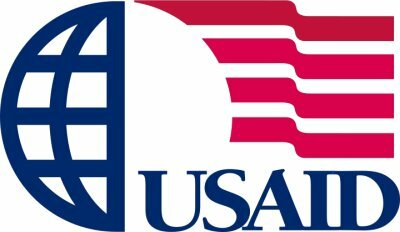 Unofficially USAID has grown to become the 800 Pound Gorilla. It sets the prices for development. Think of it this way: USAID is to the international development market what Medicare is to the health care market. USAID drives the rates on things like building contracts and consulting fees. Sometimes they do good work, but more often they don’t. In my next post I’ll explain how bad things are becoming and why it got that bad.